was able to meet me out there for a day. He had a cruise planned out of Barcelona and flew in a day early to hang out. I thought of all the different sites we could have gone to but his interest was pure shopping. Who knew he had a shopping addiction worse than me! We strolled out for breakfast to fuel up for the day and then we set out to shop! Knowing this would be a long day with plenty of walking, I made sure to dress as comfortably as possible. 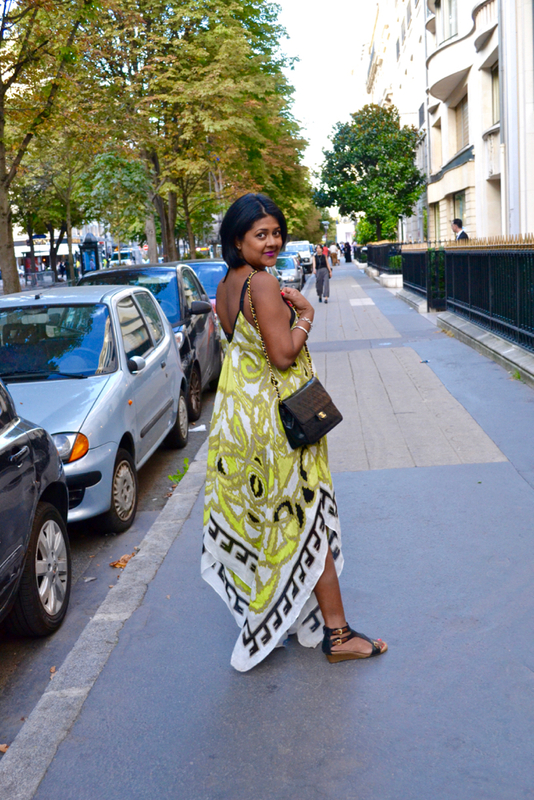 I received this scarf dress from the travel inspired line, T+C Theodora & Callum. This is the perfect thrown on and go summer statement piece. It was flown and light and kept me cool throughout the day. The material is very sturdy though and the quality is top notch. 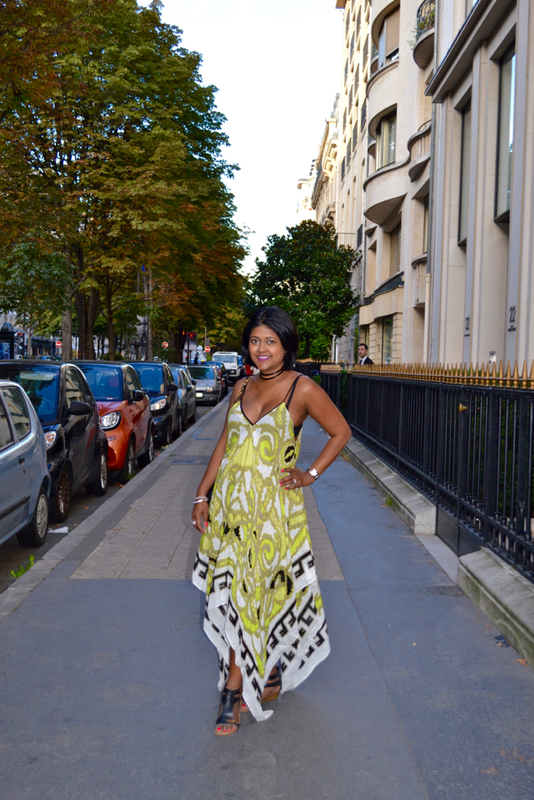 T+C is an accessories based line that includes dresses, caftans, scarves, and jewelry. Their inspirations are drawn from international locations such as Morocco, Bali, Turkey, India, and the Mediterranean, which is clear in this scarf dress I am wearing. The lime colored design nicely complimented my seven months baby bump. I felt very comfortable in this dress and paired it with a simple choker. This dress is such a statement piece on its own that you don't want to add to much to it. It is a perfect for vacations or even just to head to the pool. I am very happy with this line and looking forward to seeing what the next season brings.